Happy Saturday! 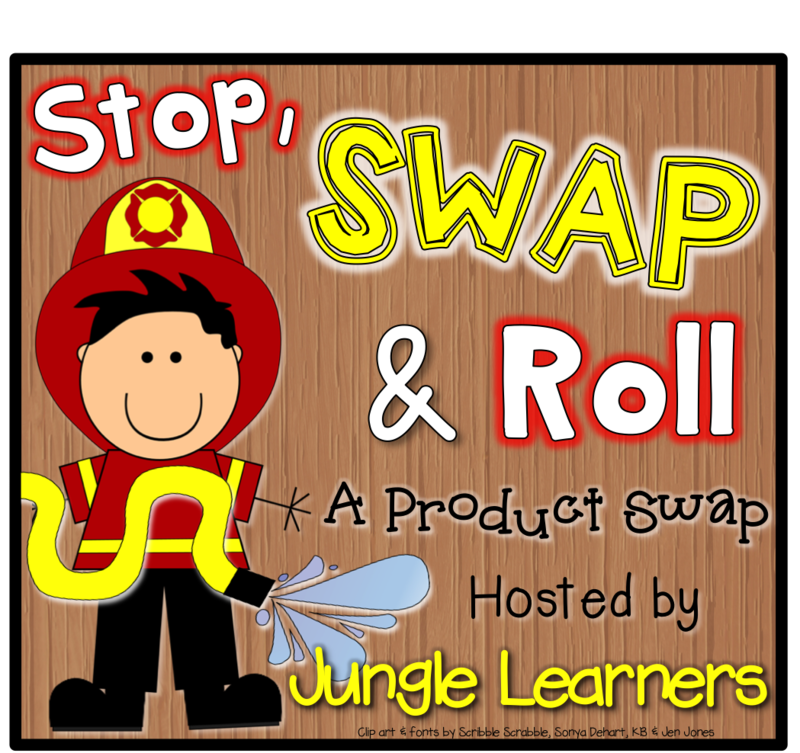 Today I'm joining many bloggers over at Jungle Learners for a fun product swap! For the product swap, I was paired up with the very talented teacher/blogger Amanda from The Take Home Teacher! Just like everyone else participating in this product swap, I got to choose one product of my choice from the Take Home Teacher to test out in my classroom. It was very hard to choose just one, because she has got some great resources! 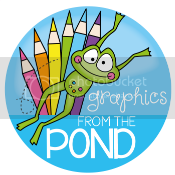 Be sure to check out her TpT store! 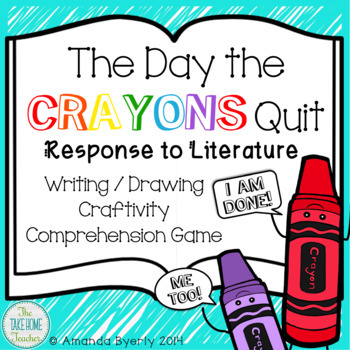 I decided on her product, The Day the Crayons Quit RTL and Comprehension Game! I love reading this book to my students every year! It is perfect for teaching many different skills. If you don't have this book in your classroom library, I highly suggest that you grab it! Click on the picture below to scoop it up from Amazon. 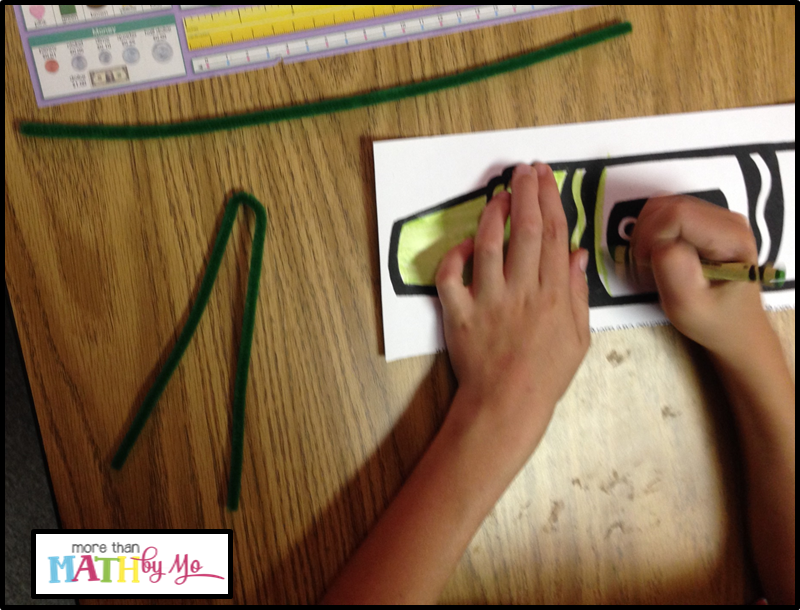 Amanda's resource is packed with 42 pages of activities. We did not finish everything (we had a short week) but I'm going to share with you the activities we did get to. On the first day, I simply did a read aloud with my students. They thought the crayon characters were hilarious! We talked about how the author used personification. I find personification to be a hard concept for my little learners to grasp, but this book helped me introduce this skill very effectively. The next day, we read the story again and had lots of discussion to aid their comprehension. 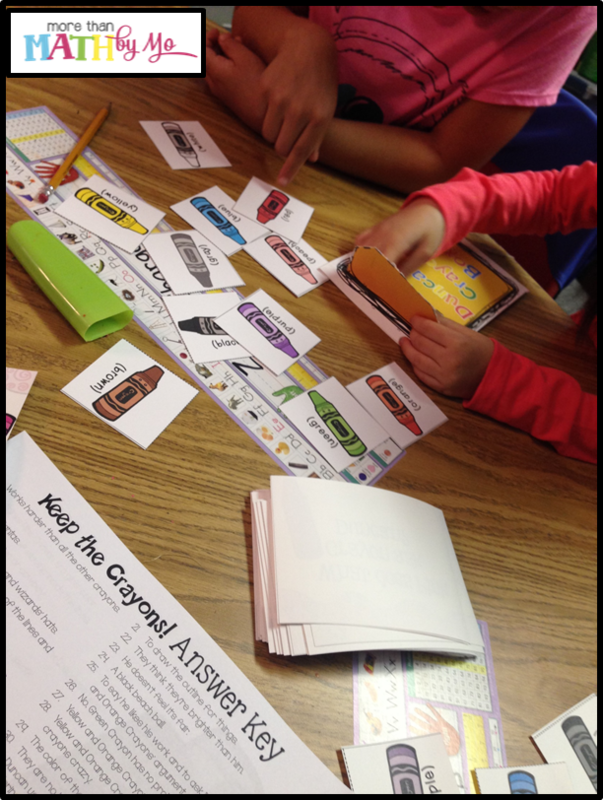 Later in the day we played the comprehension game from Amanda's resource. 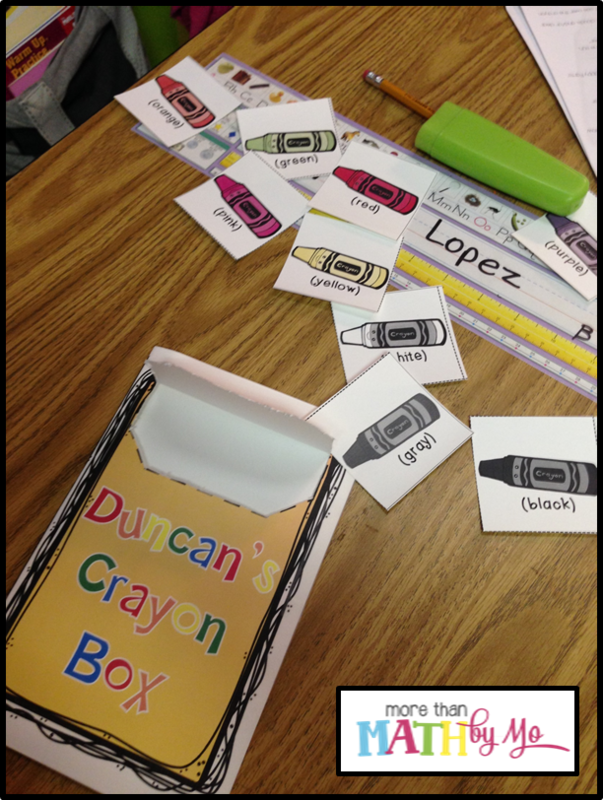 Her game consists of 52 game cards, crayon cards, and a "Duncan's crayon box" for students to collect their crayon cards. It was very easy to prepare this game. Here are some pictures of my students playing the game. 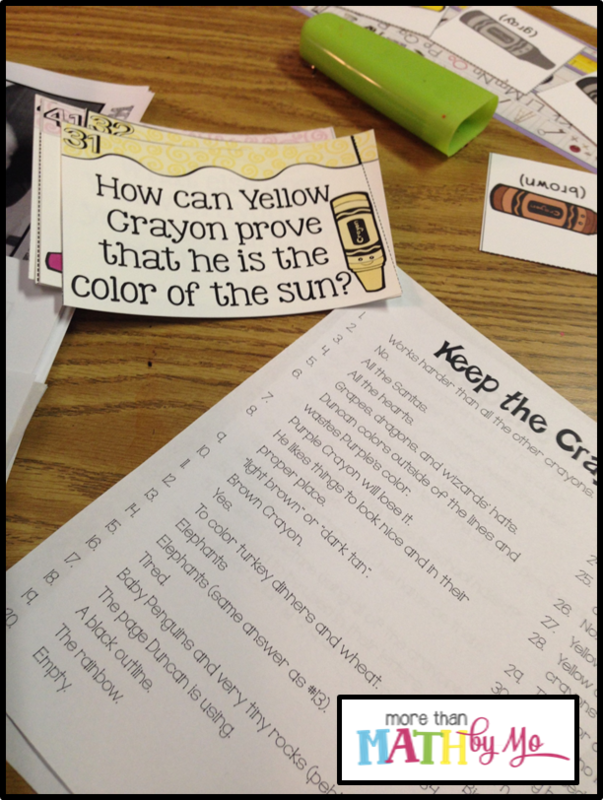 Students had to pick a card, read the comprehension question and answer it within 30 seconds. If they were successful, they get to put one of their "crayons" in their "Duncan's Crayon Box." If they did not answer correctly, they lost their turn. Play continued until one student has collected all of their crayons. 52 question cards allow the game to be played many times without students getting tired of answering the same questions over and over again. The game includes an easy to read answer key. This allows students to be able to play independently without my help!! The questions are great for comprehension! On the third day, we discussed the book again and prepared to do a writing activity and craftivity. 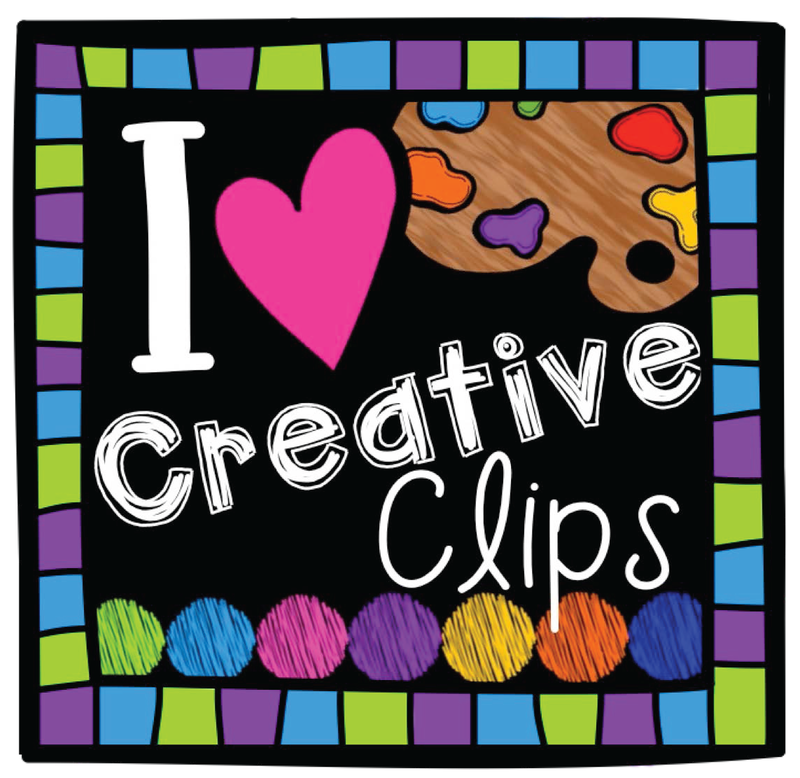 Due to the short week, I had students do the craftivity on Thursday and we will work on the writing part next week. The craftiviy included in this resource is absolutely adorable. My students had so much fun creating their crayons. 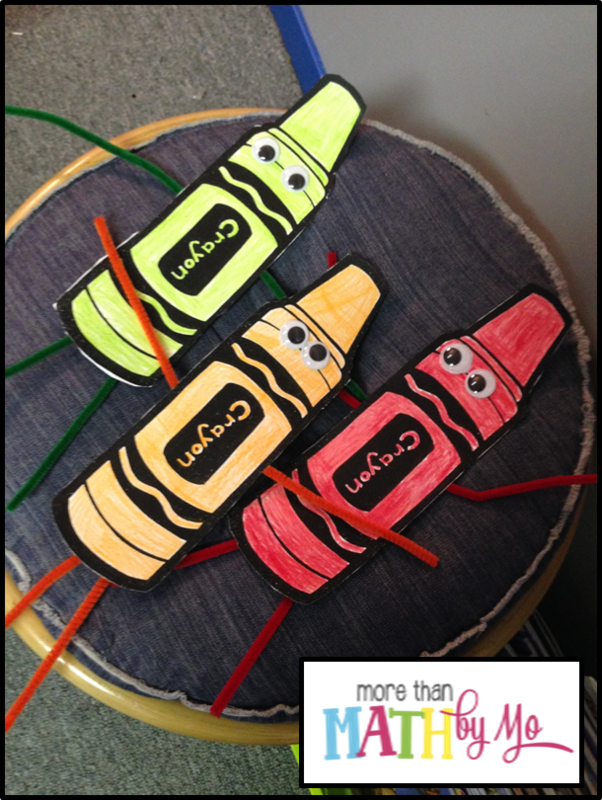 The crayons were super simple to make and came out absolutely adorable! 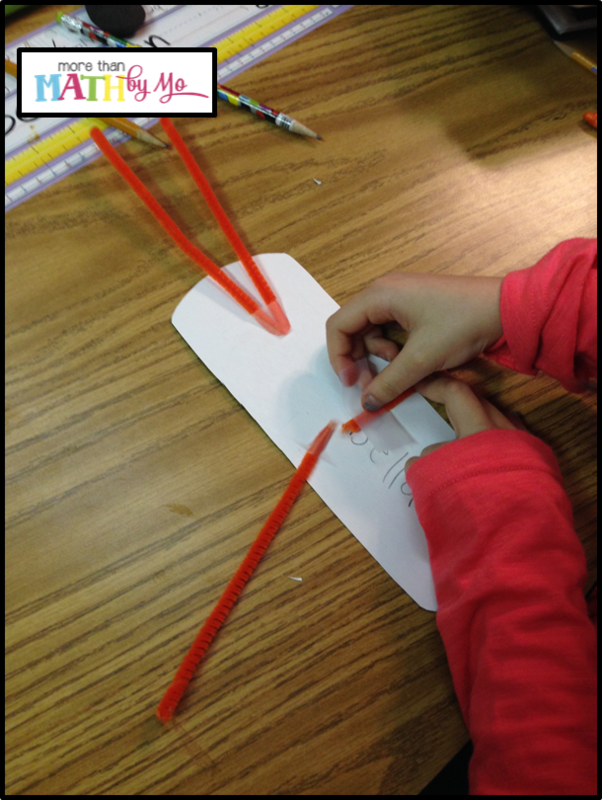 Next week we will be working on the writing activity. 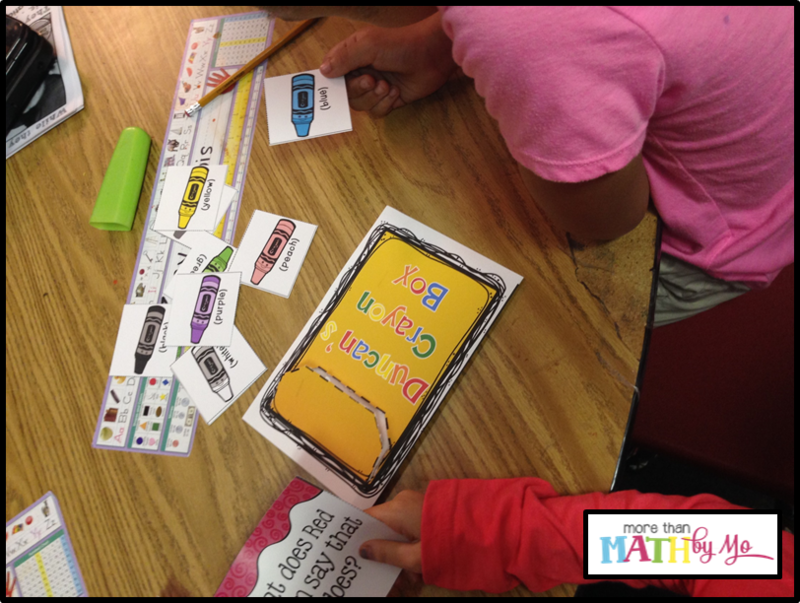 Students will be doing a persuasive writing to convince one color to stay in their crayon box instead of quitting. As you can see in the pictures above, Amanda's resource includes a directions page, story starter ideas for persuasive writing, a graphic organizer and writing paper. I think my students will come up with some great papers because of these helpful resources. 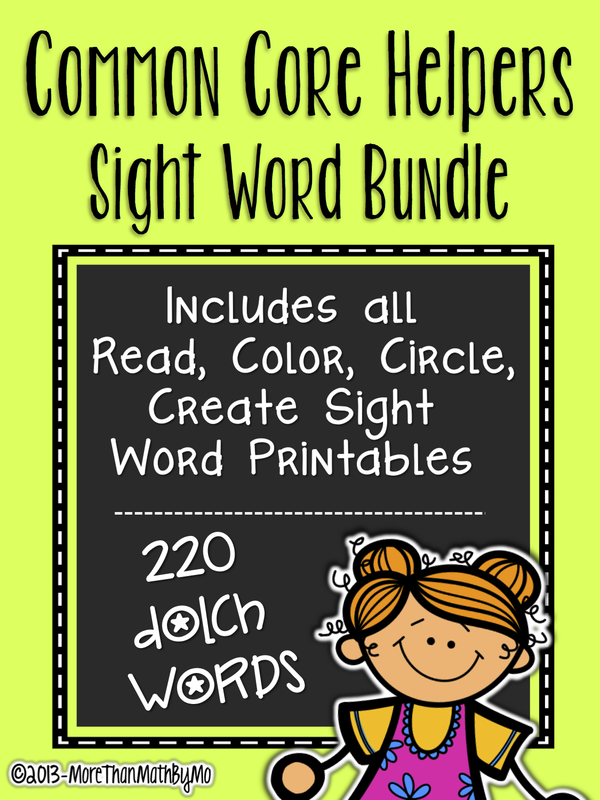 How would you like to win this amazing resource? Amanda has agreed to give away her product to one lucky winner. You can enter the giveaway by using the rafflecopter below. Now you can hop over to Amanda's blog to see my products in action. 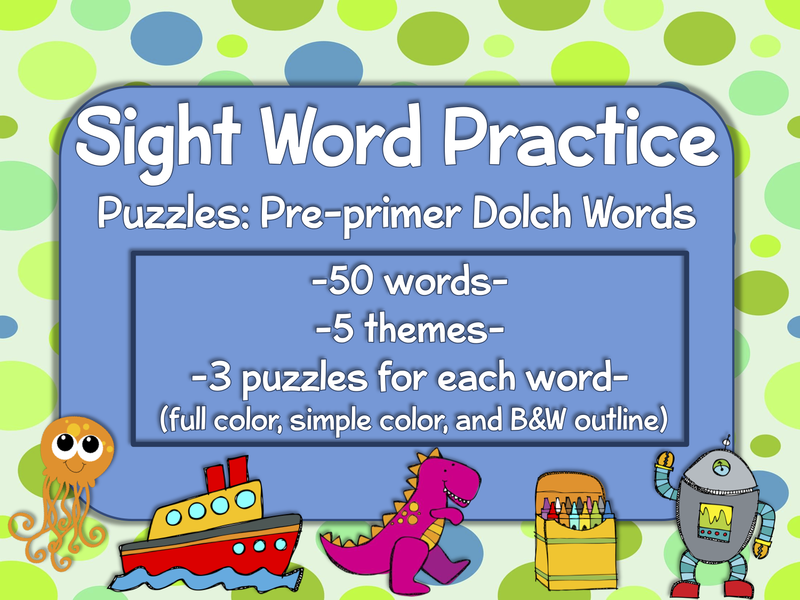 Amanda is using my sight word products below. She is also doing a giveaway for one of them. 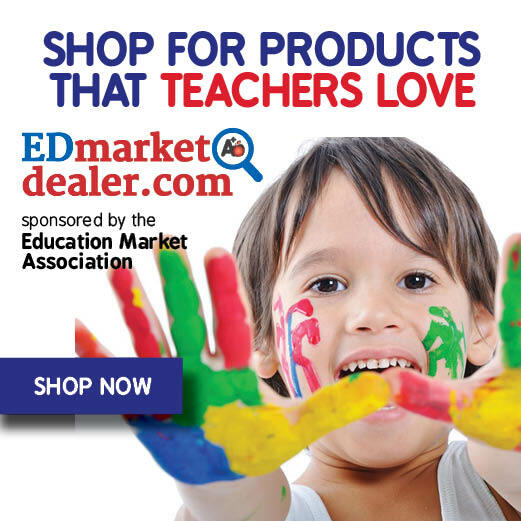 Scroll back up and click on The Take Home Teacher's Blog button above to check it out! As a treat for you, I have put the two products shown here on sale at 20% off for today and tomorrow! Be sure to also stop by Jungle Learners to check out many more bloggers that are doing the product swap as well as hosting a giveaway!